Simon is the Creative Partner and ECD at AnalogFolk, a creative agency that uses digital to make the analog world better (which kinda means always remembering people are emotional, analog beings, regardless of how slick the technology is). Clients include Sainsbury's, Costa, BT, Booking.com, PlayStation, Unilever, Lucozade, Dulux and a bunch of other equally famous and exciting brands. Formerly, he was a creative (and then a CD, and then an ECD) at Tribal DDB, and worked on Guinness, Volkswagen, Hasbro, and The Guardian. 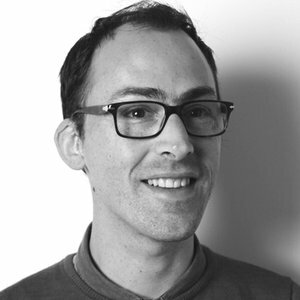 Simon has won some of digital's biggest industry prizes, and often tells people he is a copywriter, despite having begun his career as a print graphic designer. After a decade messing around with digital, he's reasonably confident that he's got away with it.